Our skin is the largest body organ an aspect which consistently exposes it to damaging agents in our day to day life. These agents either leave scarring, speed up the effects of aging, dehydrate the skin or at worst they can lead to further complications like skin cancer. Usually, the first response to treat the harm caused by the various causes of skin damage is resorting to cosmetic beauty products. While there are many excellent cosmetic products, out there, not all of them are safe. Several of the products may have excellent short term results but in the process lead to dangerous side effects. The fact that the cosmetic industry is under-regulated means the numerous ingredients in most of the cosmetic products are not checked for their impact on the consumer’s skin. The manufacturers of cosmetics products do not provide any warning for contraindications that may come with the use of their products. They are also not bound to forward any customer complaints to the FDA so that other buyers can beware or investigations on the safety of the product to be conducted. The good thing is, you can still combat the damaging agents using natural alternatives that are effective and do not carry the harmful side effects of their commercial counterparts. I decided to consider the natural options after trying for ages to find an effective treatment for my periodic acne. This was a journey of discovery which not only helped me find a treatment that works but also helped me discover the numerous benefits of home remedies for the skin. I have decided to share with you some of the natural treatments, a number which you may already be aware of. Some are used as part of nourishing beauty products but it is always better when you can get them in their natural form. The only precaution you will need to observe when it comes to using natural remedies is to check and see if you are allergic to them. Turmeric is a wonder spice deriving its many health properties from the compound curcumin. This is a powerful antioxidant with strong anti-inflammatory properties. 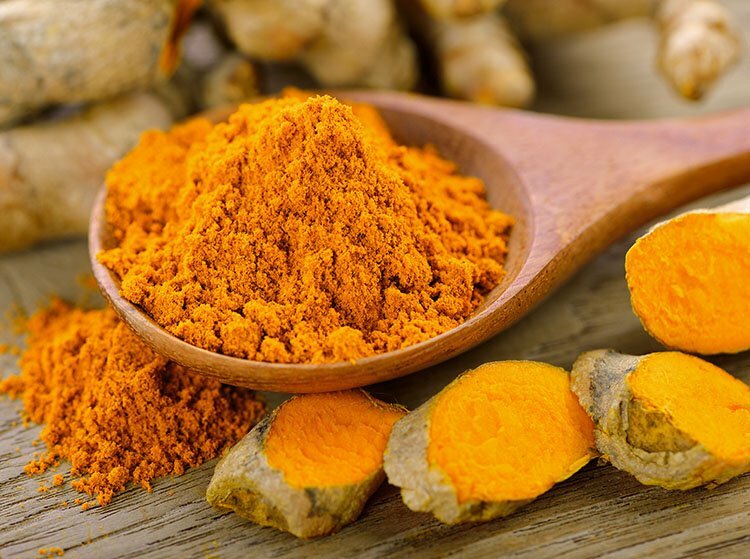 This makes turmeric useful in fighting the free radicals which damage the skin. Turmeric is also useful in boosting the production of collagen which is responsible for nourishing your skin. Turmeric also helps heal scars and add a glow to your skin. All you need is make a paste with water and apply to your face leaving it to settle for about 15 minutes. You can add gram flour to the mixture to reap on its cleansing properties. You can be doing this once or twice every week. 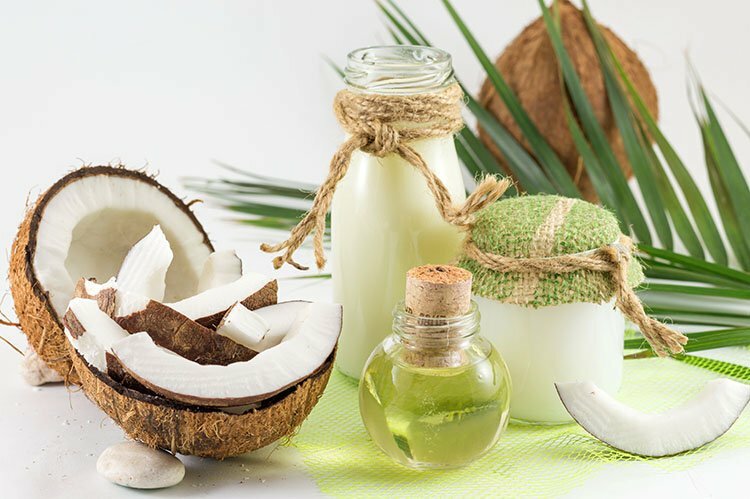 Coconut Oil is a common ingredient in most cosmetic products especially lotions and with good reason. It helps the skin preserve its moisture by locking it in helping prevent dry skin. It also has a great content of essential fatty acids and phenolic compounds which help nourish the skin and curb the free radicals activity giving the skin a natural glow. Further, coconut can serve as a protective layer shielding the skin from harmful sun rays. Its lauric acid content also helps fight bacteria and fungi preventing skin infections on your face. There are plenty other uses of coconut for beauty purposes. A bonus benefit is that you only require a small amount and even then, you do not have to apply it on a daily basis. Aloe Vera is another common ingredient in just about every commercial nutrition and beauty product. This is because of its numerous benefits to the skin including its moisturizing properties that even help restore dry skin. Its astringent properties make it valuable in helping heal scars while the anti-inflammatory content is useful for soothing skin properties. 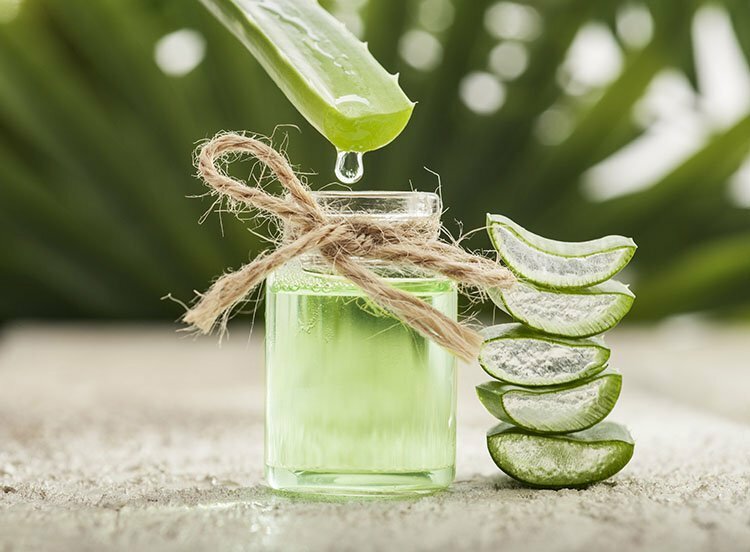 Like coconut oil, aloe vera has antibacterial properties which do help with conditions like acne. Further, the herb helps promote skin cell growth. Using aloe vera is simple. All you need to do is extract the gel from the leaf and apply it to your face using a ball of cotton. Once done, you let it sit for about 15-30 minutes after which you rise with lukewarm water. 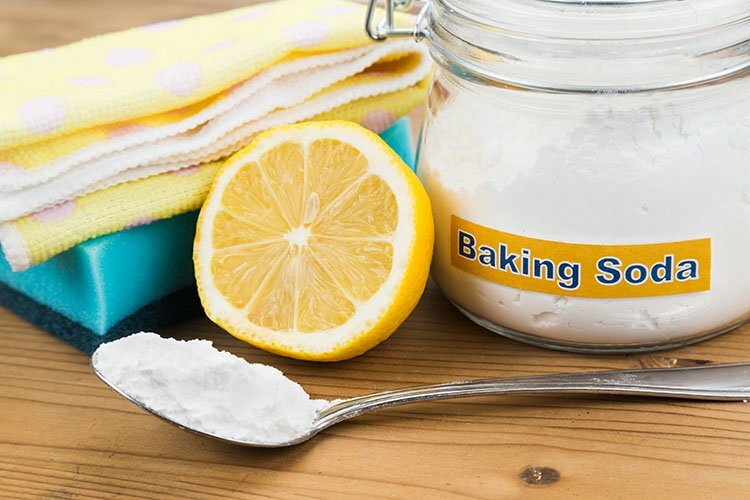 Baking soda is a useful home remedy for many skin problems. This is because it makes an excellent exfoliating agent with the ability to balance the skin pH levels, heal and sooth any inflamed parts and to treat conditions like acne and pimples. It can be used with raw honey or lemon or just water and the created paste used to gently exfoliate the face after you have cleaned it. The amount for each of the ingredients above is just one teaspoon each. You only have to use this remedy once or twice a week. Lemon is great for a glowing skin because it is a natural skin brightener. Its bleaching aspect helps clear tans and spots that may have formed on the skin resulting in a natural glow. The vitamin C present is also useful for cell regeneration. You can use it for cleaning your face by using freshly squeezed lemon juice alone or adding about two tablespoons of honey and applying the mixture to your face and neck. After this, you can leave it to dry for about 20 minutes and rinse with lukewarm water. You can also use a mixture of lemon and sugar to create a home exfoliate. The sugar granules help in getting rid of the dead cells in the skins and freeing the pores. This mixture can be used on the face, hands, and neck and it is applied in a gentle circular motion and left to stay for about ten minutes after which the face is rinsed. 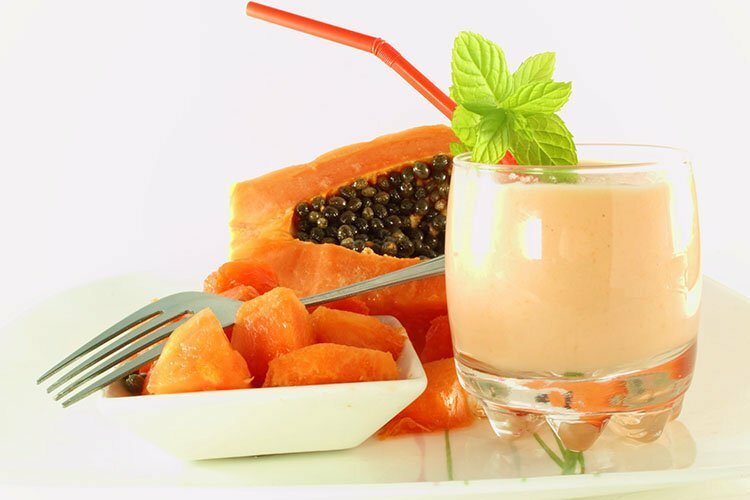 Papaya is another home ingredient with numerous benefits to the skin and human health. It helps you achieve a smooth texture thanks to the presence of the enzyme papain in its content. This enzyme has antibacterial properties and is useful in healing sore parts of the skin and inflammation caused by acne and pimples. It is also a natural bleach which helps in brightening up your whole complexion. Papaya can also be used as an exfoliate to remove dead skin cells. To improve its exfoliation functions, mix it with sandalwood powder and honey and apply it to your face. The sandalwood serves to get rid of any excess oil in the skin while honey hydrates the skin. The result if a fresh, soft and glowing skin. The fleshy tissue of cucumber contains nutrients which are nourishing and moisturize your skin. Cucumber also has astringent properties which are great for dealing with swelling and repairing skin cells that may have been damaged. Its antioxidants help rejuvenate and improve your skin’s complexion. There are several ways you may use cucumber for your skin. 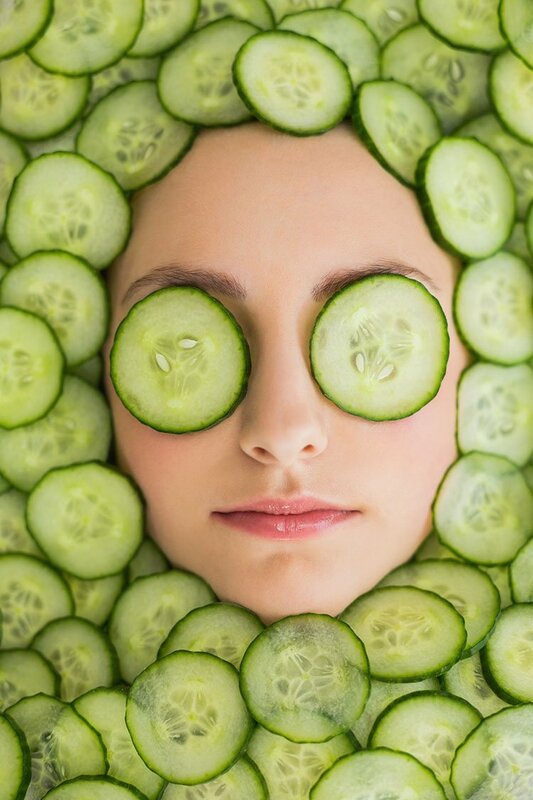 The first way is through cutting a fresh cucumber into pieces and rubbing the different slices all over your face. Leave this overnight and rinse with warm water in the morning. Another way is by grating the cucumber and adding yogurt or lemon juice to it. You then apply the mixture to your face and leave for about ten minutes before rinsing with warm water. You can do this daily or every two days for better results. 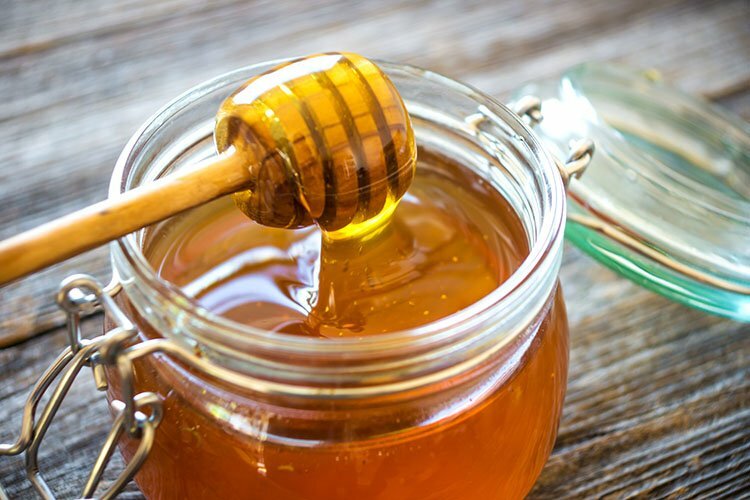 Honey has been used for centuries as a healing substance as well as for its beauty functions. This sweet drink has antimicrobial properties which help clean the skin and ward off germs that may result in skin infections. Better still, it is an effective moisturizer thanks to its hygroscopic abilities which leave your skin softer, hydrated and glowing. It also helps clear spots and other skin blemishes. Using honey for your skin is simple, apply the raw honey on your skin and let it dry naturally for about 5-10 minutes. You then rinse your skin with lukewarm water. You can do this daily or once every other day. You can also mix honey, gram flour, and milk to create a face mask which you leave on for 20-25 minutes and then rinse with warm water. You can do this once every week to get a glowing and smooth skin. Olive oil is another substance I like quite a lot because of its numerous functions and benefits to human health. As a remedy to get your skin glowing, it packs several vitamins, flavonoids, and polyphenols which are helpful in repairing skin cells and inhibiting the action of free radicals. Olive oil is also great for moisturizing your skin and making it radiant. Olive oil is easily applied to the skin in massaging motion. Leave it to stay for two to three minutes and then wipe with a towel dipped in warm water. Cod liver oil comes with omega-3 fatty acids, plenty of vitamins specifically EPA, DHA which nourish the skin and any damaged cells. This rejuvenation results in a radiant face and it is also helpful for treating acne and other skin conditions. 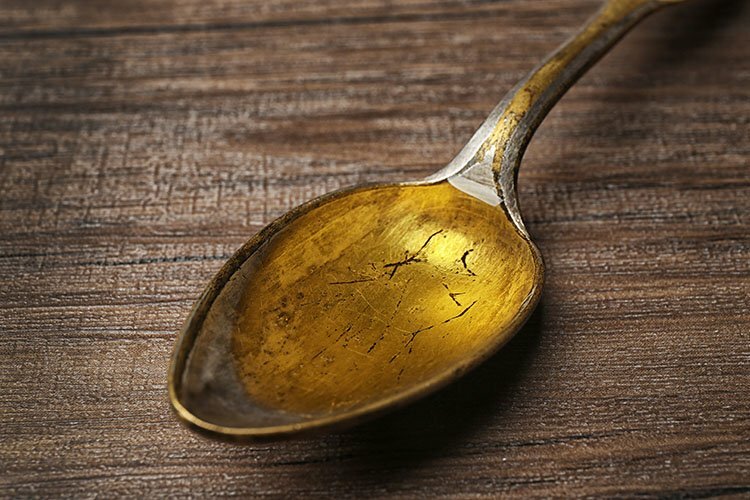 To benefit from cod liver oil, you can include it in your diet through taking the supplements or breaking open the pills and applying cold liver oil to your skin. Carrot juice packs a lot of nutrients many which are favorable to the skin. These include Vitamin A and C, Carotenoids, antioxidants, and potassium among others. Unlike other remedies on this list, all you need to do with carrot juice is drink it on a daily basis. Its nutrients help in combating inflammation, coloring that may come with acne and cases of skin dehydration. It is especially great for those people who have dry skin which is intolerant to topical applications. The nutrition in carrot juice is also helpful in evening out your skin tone, reducing scarring on the face and also dealing with wrinkles and lines on the face. You can make carrot juice even better by mixing it with ginger and orange juice. Saffron is another home remedy that has been used as a beauty ingredient for ages. It has several beauty purposes which include treating acne, a skin toner and a skin lightening agent among others. It is also known for its antibacterial properties which enable it to protect the skin from infections. It is usually soaked in a liquid, either honey or hot water and then applied to the skin surface or even used for bathing. To achieve specific results with saffron, you can follow this tips on methods of preparation. Raw milk is a great remedy for a number of skin issues and has been used by early civilizations for beauty purposes. Its vitamin content makes it useful for repairing damaged skin cells, boosting collagen production, protecting the skin from the effects of aging and action of free radicals as well as restoring dry and cracked skin as well as aiding in cell formation. Milk also has proteins and minerals which hydrate the skin and improve its elasticity. It can be used in a number of ways and serves a range of functions from cleaning to use in face masks. Most of the time it is used along with honey to boost its effectiveness. Bananas are one of the most common fruits which is great because you can easily use them to boost the condition of your skin. They contain plenty of potassium that is useful for hydrating your skin. The vitamins present in bananas are also helpful in cell tissue repair and growth which has the overall effect of softening the skin texture and helping clear up any spots or scarring. To use bananas for your skin, simply mash up one or two bananas and add some little milk to the pulp. Then apply the paste on your face and neck and even hands in case you have dry skin. Leave it to stay for 15-20 minutes and then rinse with water. You can be doing this once or twice a week. You can also drink banana juice and use the banana peels to nourish your skin and give it a radiant look. Avocado is a fruit famous for being grouped among the superfoods because of its wholesome nutritional content. It also has a number of beauty benefits from the conditioning of your hair to rejuvenating your skin. Avocados help give your skin a youthful and radiant look. They contain vitamins for repairing damaged cells, moisturizing fatty acids which help in skin hydration, improving its texture and in cell regeneration. You can simply apply a mashed up avocado on your skin, include it in your diet, or follow the following directions to create different face masks. When applying a raw avocado leave it for about 20-30 minutes for the skin to absorb all the nutrients and then wash it off. Few people ever think about water when they are looking for solutions to keep their skin glowing and in good condition. Water is essential to the condition of the skin because to support all cell activities. It also helps balance the pH levels and rid toxins from the body. Drinking water is easily the best way to stay dehydrated so you can start with meeting the daily requirement of at least 8 glasses a day. Doing this will help keep your skin supple and prevent wrinkles. To prevent water from being lost in your body and to ensure the skin gets sufficient amounts, it is important to do apply moisturizer when going out especially one containing hyaluronic acid. When you look at oatmeal you can hardly associate it with beauty leave alone numerous healing and soothing abilities. Yet, this non-pretentious food is an effective remedy for a number of skin issues and even dermatologists recommend it as an option in a number of cases. Such cases include people who are sensitive and allergic as well as those with eczema. Oatmeal is used as a moisturizer, exfoliate, cleanser and even for a bath soak. There are several face masks you can create by adding other ingredients to reap the full benefits of oatmeal to your skin. 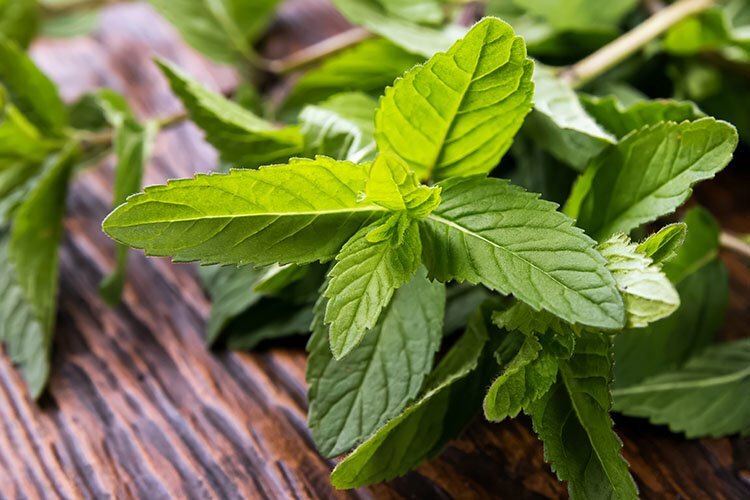 The main ingredient in mint leaves is menthol. This substance has soothing properties and it is also useful for fighting and preventing skin infections. Its inflammatory properties make mint an effective treatment for skin conditions like acne, insect bites and other irritations. It is also useful in healed cracked skin and even cracked heels. Mint can also be used to control the amount of oil on the skin and it helps unclog the pores preventing acne from occurring. This attribute makes it useful when combined with other natural types of exfoliates. Mint is also useful for itchy and dry skin and it can serve as a great skin toner. There are different ways to prepare mint to use on your skin though most involve extracting juice from the leaves, or crushing it into a paste and applying on the skin. Giving your skin a radiant and unblemished look does not need to be expensive or come with the risk of side effects. Home remedies for glowing skin offer a safe and sustainable alternative you can easily control. Besides, many of them come with other added benefits to your general body health.